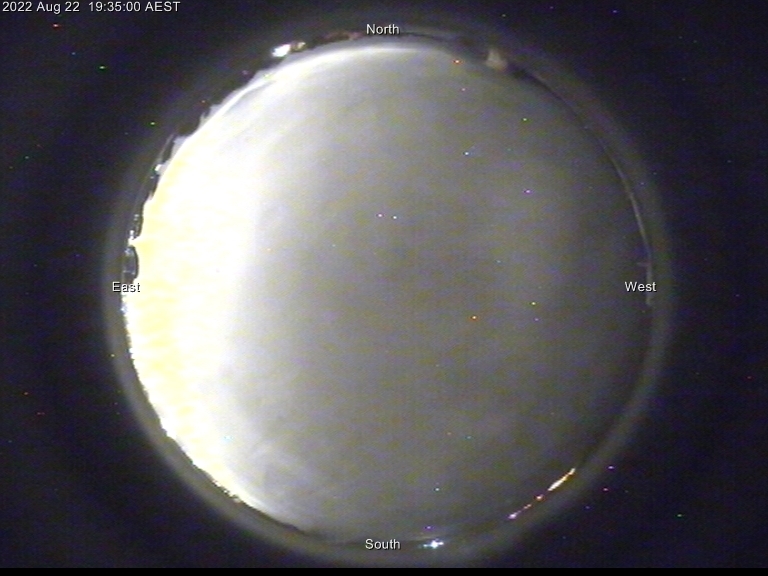 On this page you will see images from a fish-eye camera located at Mount Stromlo Observatory (Lat: 35° 19' 18" S, Lon: 149° 00' 23" E). The upper image is the masked and corrected full fish-eye. The lower image is a panorama obtained by re-mapping the fish-eye image. There is also a movie showing images from the last few hours. The images are obtained with a Moonglow Technologies All Sky camera.